1. 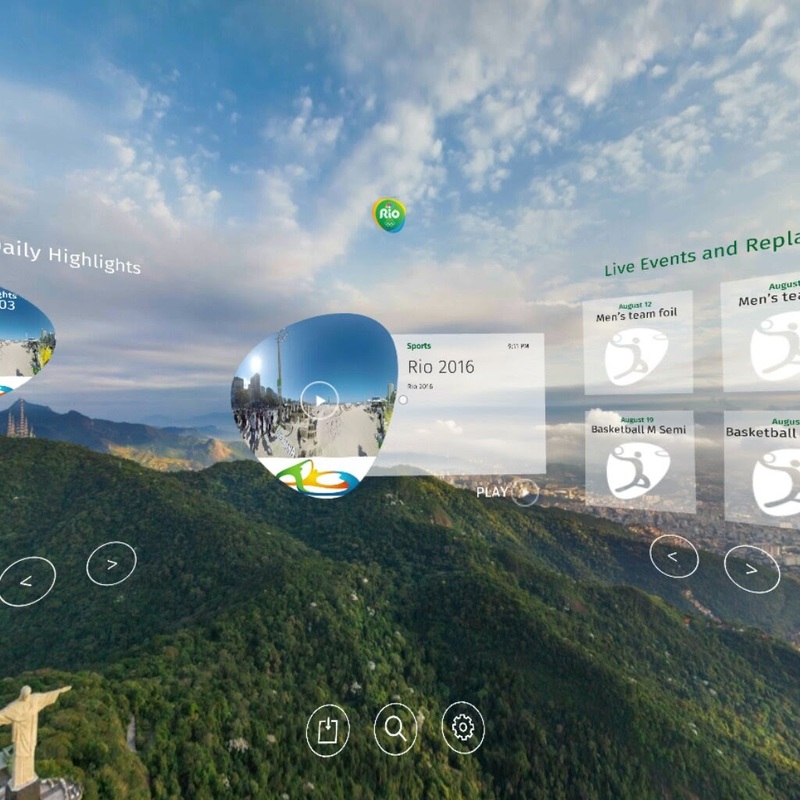 Download the NBC Sports app on Google Play (not Oculus store). 2. Open the NBC Sports app and authenticate your cable or satellite provider. Just click on any content and it will prompt you to identify your cable or satellite provider. You’ll then be directed to your cable or satellite provider’s site. After you log in, the app will be authenticated. 3. 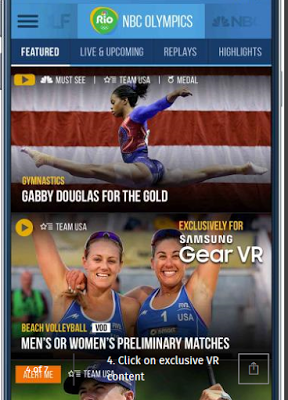 In the NBC Sports app, you’ll see some content that’s identified as “Exclusive for Samsung Gear VR,” like the example below. The VR content will be available one day after the event, from Aug. 6 through Aug. 22. 4. ​When you click on the exclusive VR content, you’ll be asked to put your phone in the Gear VR. 5. 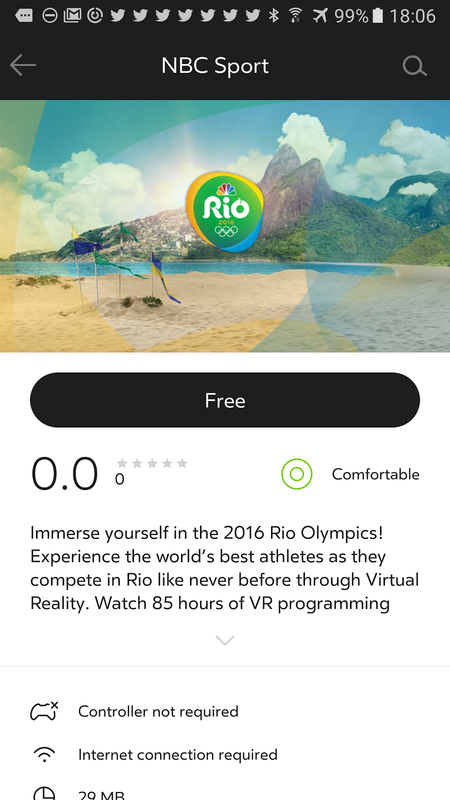 From the Oculus store, download the NBC Sports app. 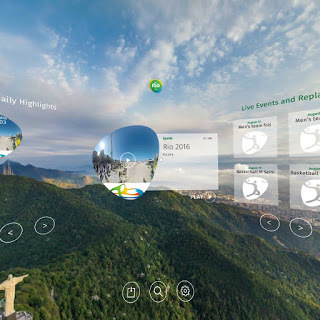 You can also download the NBC Sports app on the Oculus first, but you’ll be prompted to download the NBC Sports app on the Google Play to authenticate your cable/satellite provider. You can watch a slideshow of the instructions here.